We think BMW loves it when a plan comes together. In this case, the plan was to sell 100,000 BMW i and iPerformance models in 2017. 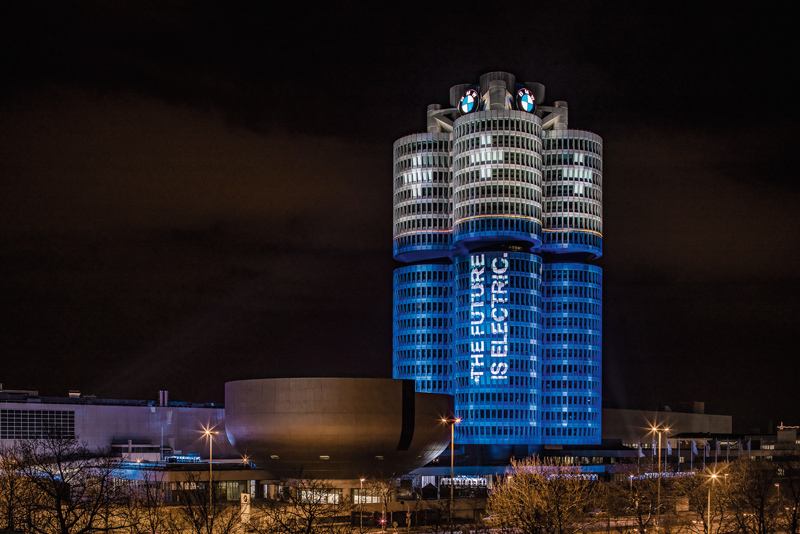 Harald Krüger, Chairman of the BMW AG Board of Management announced the completion of that goal on December 18, 2017 by symbolically turning BMW's "four-cylinder" headquarters building into four big blue batteries. 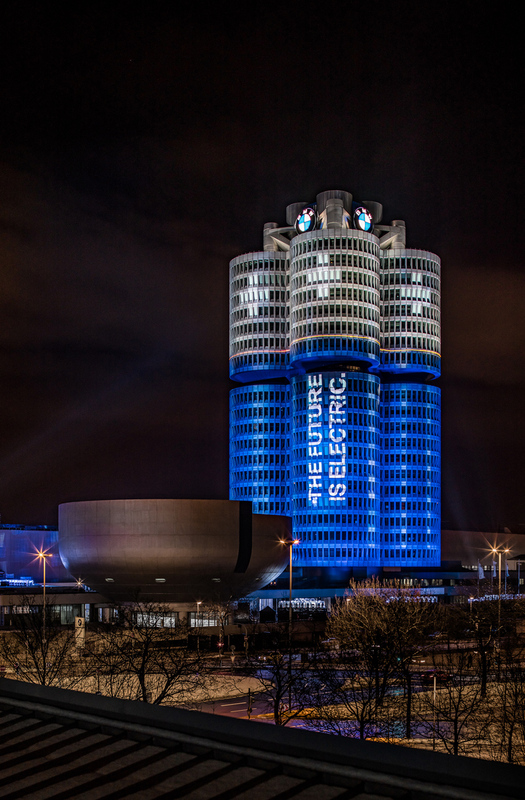 BMW considers itself a leader in electromobility and we have seen nothing to prove otherwise. One of its core priorities is electrification. Currently eight BMW models and one Mini are either fully electric or plug-in hybrids. By 2025, that number will go to 25 electrified models with twelve being pure electric. In 2021, BMW anticipates fielding the fifth generation of its electric drivetrain and battery technology, which we assume will be on display with the production version of the BMW iNext car that will be fully electric with at least Level 3—and possible greater—autonomous driving capability. By that time, BMW's electrified powertrains will be scalable to the extent that any BMW model in any plant in the world can be built as a conventionally powered vehicle, or an electric one. BMW has trademarked a number of names that include the letter "i," from the i1 to i9 and the iX1 to iX9. There will be no shortage of names, therefore, to put electrified vehicles under. According to the Polk/IHS Report issued on December 7, 2017, the BMW Group leads all competitors in Europe in registrations of new fully electric and plug-in hybrids. Comparing electrified vehicles to traditional ones, BMW's market share in the electric vehicle segment is three times greater than its share of the conventionally powered segment. Worldwide, BMW has a 10-percent share of the global electrified vehicle market.